Dr. Locksmith Winnipeg is proud to say that the area's best mobile safe specialists are part of our team and of course are fully insured, licensed and bonded with the province so you know you are going to receive the highest level of safe service when you call Dr. Locksmith Winnipeg. Our safe specialists have been trained in safe cracking, safe repair, and safe maintenance, so no matter the type of issue you are experiencing with your safe, a Dr. Locksmith Winnipeg safe specialist can help. If you cannot open your electronic keypad safe because the keypad is malfunctioning, it can be a very frustrating experience, especially if you are running a business and need it open; Just know that Dr. Locksmith Winnipeg and one of our safe specialists are one phone call away, and will arrive to diagnose and fix the problem with your electronic safe locking mechanism on site, 24/7. 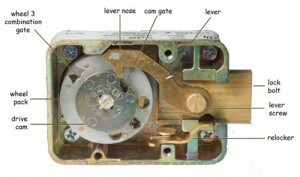 If you are having issues getting your mechanical combination safe to lock then all of your valuables will be the opposite of safe - vulnerable, thereby defeating the whole point of placing them in the safe, leaving your valuables vulnerable to theft or damage. 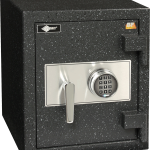 our safe specialist promise to perform whatever type of safe repair it takes to get your mechanical combination or other safe to lock properly and secure your valuables once again. There is no home or office that is invincible to fire or water damage, so naturally the need to have a fire resistant safe is high. Our safe specialist are able to recommend different options to keep your important documents and valuable items secure and preserved if you happen to experience a fire or flood at your home or office. Dr. Locksmith Winnipeg is a completely mobile locksmith service meaning no matter the location where you are experiencing problems with your safe, our safe specialists are able to come directly to you and perform whatever type of service you need right there on the spot.